Technology in action – emerging technologies keeping us connected and safe. This stream will explore the latest and emerging technologies for connecting people in rural and remote areas, particularly in emergency situations. Technology experts and those working in the bush will discuss new technologies and enablers of remote connectivity to address the needs of rural and remote communities, including last mile solutions, overcoming latency and speed issues, the Internet of Things, drone applications etc. Andrew joined Vertel in 1996 and has led the evolution of the business from a provider of two-way radio site and networks to a licensed telecommunications carrier with a focus on critical network services for Government, Enterprise and Service Provider organisations. He is driven by the belief that Australia’s most pressing social issues are a result of the inequitable delivery of and access to quality education, health, community and emergency services. He works with a team that is passionate about the enablement of dramatically better education, health and community outcomes through the innovative use of ICT services in underserved metro, regional and remote Australia. While the world marvels at (and in some cases is aghast with) the ‘disruption’ caused by ‘web scale’ companies with challenger ‘platform operations’, very little has changed for those individuals and businesses living and or operating in regional and remote areas of both developed and undeveloped countries. In the Australian context, the ongoing failure of the NBN to effect meaningful change to those in regional and remote Australia coupled with the unrelenting dominance of Telstra has resulted in a scenario where the ‘digital divide’ as never before been so significant. In our dealings with both Government and Enterprise organisations, we are continually surprised (if not stunned) by the range of dearly held ‘knowledge’, beliefs and assumptions around the technical, commercial and social aspects of delivering infrastructure based competition for broadband services. It is these ‘illusions’ that need to be challenged and discredited if any meaningful change is to be experienced by people living in these underserved regions. 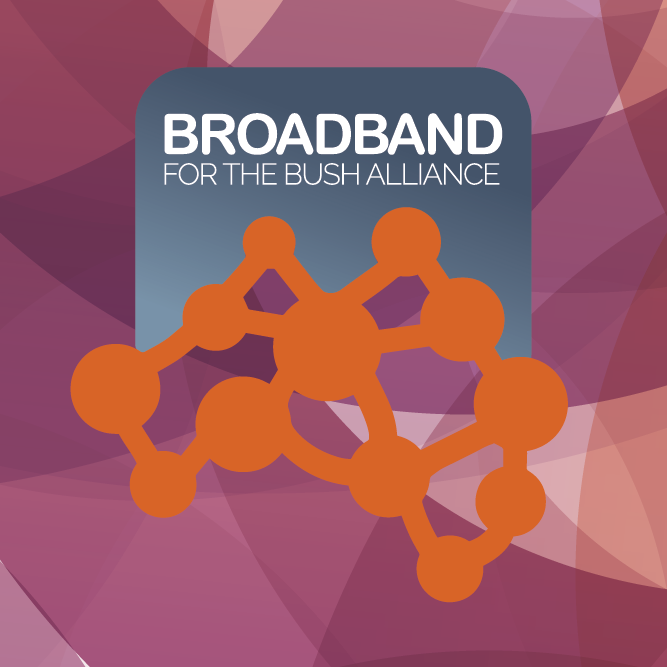 Andrew will identify and deconstruct the most relevant aspects of these broadband ‘illusions’ and provide insights and effective steps for Government, Business and Communities to take to secure converged, assured and secured network services for these regions of Australia. Tony Bundrock has been the CEO of Australian Private Networks Pty Ltd (trading as Activ8me) since 2007. He has been in the telecommunications industry for over 30 years and is an expert in satellite broadband technology. Tony has been a strong advocate for better communication services in regional, rural and remote Australia. Prior to his position with APN, Tony was National General Manager, Strategy and Business Development at Telstra Mobiles. Scott Cogley has been at Australian Private Networks Pty Ltd (trading as Activ8me) since 2016. Scott oversees the commercial relationship and engagement with the Government and commercial entities. Through these partnerships, Scott assists organisations to achieve their regional, rural and remote communication objectives. Prior to Activ8me, Scott held Business Partnership and Practice Manager positions supporting the telecommunications industry for over 15 years. Remote communities and workforces are now benefiting from connecting to the world and core services online. They are doing this using multiple devices over a shared Wi-Fi internet connection, from locations where there are limited or no other communication services available. But how? Over the last year, Australian Private Networks (trading as Activ8me) has worked in partnership with customers to develop and deploy a second-generation of their internal and external satellite Wi-Fi solutions. In this session, discover how a variety of organisations from agriculture and mining, to tourist destinations and emergency services utilise this technology to solve remote communication challenges. Over the last year, Australian Private Networks (trading as Activ8me) has worked in partnership with customers to develop and deploy a second-generation of their internal and external satellite Wi-Fi solutions. Reducing isolation for remote workforces (such as employees in remote mining camp accommodation) by keeping families in touch. Connecting Indigenous communities with each other and range of online services including emergency services, Government programs and essential resources. Enabling remote tourist destinations such as National Parks to be promoted as a destination of choice. Remotely run agricultural technologies being used to achieve greater efficiency and productivity savings. Ability for emergency service crews to access critically important and reliable telecommunication services from remote locations with life-saving potential. As Australia’s largest satellite broadband provider, Activ8me is a progressive organisation that continually aims to solve the communication needs and demands of regional, rural and remote Australians. Activ8me provides commercially viable communication solutions to Government agencies and commercial entities. Activ8me has also continued their 2010 arrangement with the Federal Government to enhance and maintain their innovative solar-powered satellite broadband access networks, including public Wi-Fi, in around 300 remote Indigenous communities. Don’t miss your opportunity to discuss how satellite and Wi-Fi technology can be leveraged to provide commercial communication solutions for your community or business. Grahame has worked in both academic research teams and corporate roles, all addressing innovation in telecommunications. His company, URSYS grew out of the University of Sydney and has been predominantly interested in remote area networks. Private VSAT, Compact LTE and remote network management are the company’s strengths. Several joint projects with large Telcos has taught Grahame the unique value of a small motivated enterprise in creating new solutions to old problems. Public carrier networks are implemented on a massive scale and driven by commercial interest. In remote areas the scale is smaller, the commercial potential is much less and the challenges are great. This can be both a hindrance and an opportunity to realising connectedness. The opportunity is there for small remote communities, businesses and rural producers, working closely with service providers, to create network services that follow different paradigms, to be highly attuned to specific rural needs. It starts with creative thinking. Matthew has 20 years experience working in a variety of Science, Engineering and Construction roles in remote areas, both in Australia and abroad. During this time, Matthew has acted as the project manager for the engineering, design and deployment of IT and Communications systems for multibillion dollar projects, and has a history of devising and deploying innovative and resilient solutions. Matthew holds a Bachelor Degree in Science and a Master of Engineering Science Degree in Computer and Communications Engineering. We all know that big “empty” spaces equals poor services. But connectivity, good roads and good telecommunications, is a basic ingredient for development in remote regions. The Northern RDA Alliance has partnered with Distant Curve to explore long-distance wireless as an alternative to satellite. This project demonstrates that there are telecommunications options which are affordable and offer a better service platform on which to build economic activity despite remoteness.